To enable me to regularly save around 60% of my earnings I follow three philosophies within my life. Firstly live well within my means. A simple example that has a big impact is the decision to currently rent for a number of reasons including this and this. Given that my rental is not my forever home I make some compromises and live in a property that is significantly more modest than what I can afford. This decision then compounds as by choosing to live in a smaller property heating, lighting and Council Tax bills are also a fraction of what they would be were I to have that larger property. This adds up to significant savings which are then invested. Secondly I have opted out of consumerism, do not value image and am not swayed by advertising. In fact I find that I no longer even notice advertising. Instead I buy only what I need and when buying I spend the minimum that will give me the quality I desire. This means I have not purchased an Apple iPad as my old laptop is more than sufficient and still working well even though the battery no longer holds charge. It also means I do not have an expensive iPhone on an expensive monthly contract as I have decided that I don’t need instant internet gratification at any time of the day or night. Instead I choose to access the internet as much as I like for a lot less than £10 per month whenever I am at home. It also means that when I go shopping I buy the cheapest grocery items that will meet my quality needs. If I want to cook myself a Full English Breakfast on a Sunday morning I’m not too proud to use Tesco Everyday Value Baked Beans at £0.26 for a 420g can versus the nicely marketed Heinz Baked Beans at £0.70 for a slightly smaller 415g can. All of that frees up yet more cash. Thirdly if I can achieve a goal for free then why pay for it. This can be as simple as whenever possible walking to my destination rather than taking the bus or car. Exercising in the great outdoors (walking to my destination) rather than paying for monthly gym membership. It can also be extremely simple things like instead of buying a cup of coffee on the way to work waiting until I arrive to have one for free. Sure my company’s free coffee is not as good as that offered by the likes of Starbucks and Costa but it is of sufficient quality for me to enjoy first thing in the morning. I am always amazed at the number of Average Joe’s I see every morning with their paper cup in hand rushing to the office. What I am even more amazed about is that I know that a few of those Joe’s are heading to an office where their employer has spent a small fortune providing them with a free Starbucks coffee machine. All they would have to do is wait just a few more minutes and they could have the same Starbucks coffee gratis. Why do they pay? In London today a Starbucks Venti Latte will set you back around £2.75 a cup. I can only assume that Joe buys his coffee in the morning as he is prepared to trade that little bit better taste along with the convenience of somebody else making it (although I fear in a lot of instances the queue time is usually longer than the time to self make a cup of coffee) for what he feels is £2.75 of small change. But is £2.75 really small change? Let’s use the Miracle of Compound Interest to see what that daily loss of small change is actually costing our Average Joe. Let’s assume that Joe picks up the Starbucks Latte habit not long after starting his career at age 25 and begins buying his Venti Latte every workday on his way to work. On weekends he makes his own coffee at home. That means he’s spending £13.75 per week. Let’s also assume that he only works 47 weeks of the year. Were he to switch to his employers free coffee and save his money in a 0% interest account then in the first year he would save £646. Let’s then assume that at the end of his first year (and every year thereafter) he invests that £646 of savings into a low cost FTSE All Share Equity fund like that offered by Vanguard. A decision like that could see him get a long term real (after inflation) average annual return of 7.15% after fees provided he saved it tax effectively within an ISA. If he wasn’t swayed back to his old ways after seeing his first year of sacrifice yield only £646 he could have a net worth of £3,728 after 5 years. £3,728 still doesn’t look like much but let’s now accelerate to Average Joe’s Retirement day at age 55. He looks to his Latte investment pot and finds a possible nest egg of £62,718. Were he to use the 4% Rule that nest egg could yield him an additional income of £2,508 per annum or £48 per week. So a £13.75 weekly Latte “sacrifice” today has yielded a £48 weekly benefit tomorrow. I feel that nicely demonstrates the Miracle of Compound Interest and it’s a miracle I’m happy to be contributing to. Do you really think you are getting enough of a return from your savings to make this deferral of gratification worthwhile? Do we really get that much gratification from a cup of coffee? Happiness and contentment doesn't come from buying stuff. The purpose of money is to provide financial stability for the rest of your life, and it won't do that if you're spending your money on non-essentials. Thanks, RIT. Quite an enlightening post, and one very much in tune with my own philosophy. > "your saving is financing someone else's consumption"
Can you back that up at all? Because to me this sentence reads like the nonsensical ramblings of an idiot. If you think that choosing not to spend £2.75 on the tepid, saccharine slop dished out by outlets such as Starbucks constitutes a reduction in gratification, then you need to take a long hard look at your life, because your standards for "gratification" are depressingly low. Still, what can one expect from an anonymous coward. The irony is that "Anonymous" here will enjoy all the Starbucks products he can swallow - when he's working there in his 70s. Thanks for the comments. Clearly the tone and content of both comments indicates you both have very different opinions. Retirement Investing Today is a place where I hope we can hear all viewpoints and learn from each other. Can I therefore ask that that we keep the comments focused on the data and not get personal. That way hopefully we can explore the real issues to a much deeper level. - "Another way of looking at this is that your saving is financing someone else's consumption." No I don't believe that I am financing somebody elses consumption. Instead I believe that I am deferring my own consumption. - "Do you really think you are getting enough of a return from your savings to make this deferral of gratification worthwhile?" Yes I do. This is a long term game for me and I'm very happy with how I'm positioned. When I say long term I'm talking 40 or 50 years not a few months, a year or even 5 years. Markets go up and markets go down. I'm going to avoid that noise and follow my strategy to its logical conclusion. My current model suggests that after expenses the long term return from my current portfolio should be a little over 4% after inflation. If I can achieve that then I will achieve my goals. - "After all for creditworthy US/UK borrowers credit has never been cheaper in 300 years." How does cheap credit help? What are you going to do with it? 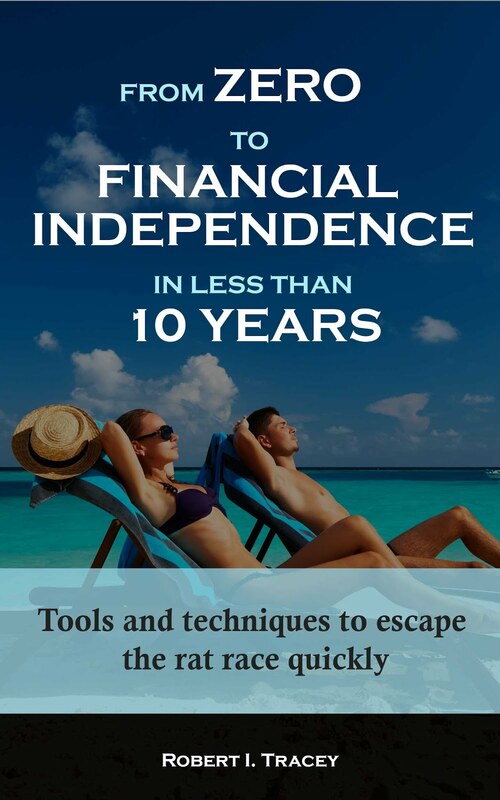 I believe that to achieve financial independence one needs assets and not debt. You can't live for 40 to 50 years on debt. - "To take your attitude to its logical conclusion you will end your days in a pine (or maybe MDF?) box with a big pile of money you never enjoyed, much of which will end up in the hads of the tax collectors." Nobody has ever said that there will be a big pile of money remaining. The whole principal is to acquire the money quickly (retirement in a few years), then spend it over a much longer period (40-50 years), while monitoring/planning carefully to ensure you don't run out and possibly even being able to pass on something to the future generation. - "Death and taxes - you can avoid neither." Agree you can't avoid death but you can slow it. I feel that not having stress from work (work being optional), having no money worries, plus having time for your own projects rather than the deadlines of your workplace must help slow it. Maybe you can't avoid taxes but there are plenty of posts on this blog that tell you how to minimise them. Simon, I'm glad somebody else is with me on this. I was quite amazed at the numbers when I started putting this post together. That's just one habit that can add up to £60k or so. I'm thinking if the Average Joe's out there has 5 or so of those then it's no wonder that people struggle to ever achieve financial independence. At the same time it also shows just how easy it is to achieve financial independence if you put your mind to it and cut out waste. This post really strikes a chord with me. I am in a similar position to you: though slightly younger (29), I too work in London, and me and my better half have largely excised consumerism from our lives and practice the frugality you set out above in almost the exact same manner. Due to the cost sharing benefits of being a couple, we save (jointly) just under 70% of our post tax income, with occupational pensions on top, the goal being to attain financial freedom as soon as possible. I too notice the mad rush of stressed workers with a starbucks/pret coffee glued to their hands in the morning. I find it astonishing (particularly as we went through a phase of buying pret coffee in the morning with my better half's luncheon vouchers, and found it disgusting). Lunch is even more expensive - many of my colleagues spend £7+ per day! - but at least more understandable in that buying lunch is a necessity, whereas coffee is something that workplaces generally provide for free. Quite incredible but it just shows the power of being a seller of frequent, small ticket consumables. People just don't notice what/how much they're spending so you can freely charge them a horrendous fee for the 'privilege'. I have to say that the renouncement of the consumer lifestyly has made me ENORMOUSLY more happy and contented. In fact I rather drifted into the 'extreme early retirement'/very high savings rate type lifestyle simply by realising that I didn't enjoy shopping, and extremely rarely feel I am depriving myself of something I want. It is an extraordinarily liberating and empowering way of living, I find. Thanks for sharing your story. It sounds like you are way ahead of me. You've started earlier than me (I was mid 30's) plus your savings rate puts me to shame. Do you have a forecast date for 'financial freedom'? This comment resonated with me greatly - "I rather drifted into the 'extreme early retirement'/very high savings rate type lifestyle simply by realising that I didn't enjoy shopping, and extremely rarely feel I am depriving myself of something I want." I have similar feelings. It is indeed liberating and empowering to walk out of a shop empty handed, not because I can't afford what they are selling but because what they have on offer no longer meets my needs. 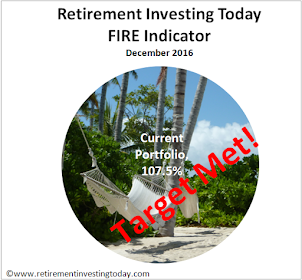 I hope you become a regular on Retirement Investing Today as it sounds like we are on a very similar journey. It's Unknown again - I'll have to think of a better moniker! Forecast date - not really. I've only started thinking in terms of 'early retirement' in the last couple of months or so (prior to that we were practicing most of its tenets, but without the explicit goal of financial freedom). I've played around with some of the calculators that are out there on the web and the forecast date based on our current earnings, total savings and savings rates is 4-5 years. I think that's (wildly?) over optimistic though as we are likely to get married over within the next year (which will cost us some money for sure) and possibly have kids which will no doubt have an effect on both spending and earning..so realistically a minimum of 8 years I'd say. However, what our current saving rate should allow (if desired) is for me to downsize my job - I work in a relatively well paid, but at times overly stressful, industry and I'm not sure it's what I want to do in the long term. The blog is great by the way, very helpful and inspiring-I'll definitely stick around. I am particularly interested in your investment/asset allocation analyses. My portfolio is a lot more actively managed than yours and I am seriously considering at least a partial rebalancing towards a lower cost portfolio. I also need to think about starting up a fixed income allocation (in excess of the NS&I certs that I already hold - sadly not currently on offer!). "However, what our current saving rate should allow (if desired) is for me to downsize my job..." You've hit my strategy square on with that statement. For me "retirement" is simply work becomes optional. That could be stay in the same job if I'm still enjoying it, try a new career, go part time, volunteer or even just stop working. I'm still about 4 years out so am yet to decide which if any of those will be my choice. With regards to investment/asset allocation analysis. It's largely what this site is about as I'm fully DIY and am unrelenting in my efforts to minimise fees and taxes given the damage they can do to your portfolio long term. The right hand side bar is full of analysis including fixed income allocation (in addition to NS&I ILSC's that I currently also hold). Some of those posts might be of interest. "After all for creditworthy US/UK borrowers credit has never been cheaper in 300 years." How does cheap credit help? What are you going to do with it?" Well you might buy an asset whose value would increase like faster than the interest on your debt than you can also enjoy, like a house 20 years ago? As a more on message example I actually remember when a Pret latte was £1 and now its £2.30! "A decision like that could see him get a long term real (after inflation) average annual return of 7.15% after fees provided he saved it tax effectively within an ISA". 7.15% real terms - where are you getting over 10%, given inflation has only just got down to 2.5% and that's based on RPI which is basically a lie in that it understates the true rate of inflation, especially if one does not buy consumer goods and only uses essentials like energy and food. Interesting that you feel I lack credibility by assuming a high rate of return. The rate was taken from the excellent book by Tim Hale entitled "Smarter Investing : Simpler Decisions for Better Results” which tells us that in the UK from the period 1900 to 2004 real (ie after inflation) average equity returns were 7.3%. I then removed 0.15% from this to allow for Vanguard Fund expenses. I appreciate that returns haven't been that great over recent history but this is a long game we are talking about. In the example above it's 30 years. When it comes to my own retirement planning which includes both the accrual and drawdown phases it could easily be 40 to 50 years. More damaging than the coffee habit, though, is the the smoking habit. I guess some people can score on annuities there, but it's not a game I'd like to play. Great to hear from you and glad your back posting as well. Now why didn't I think of that? Early Retirement could have arrived that bit earlier. "So a £13.75 weekly Latte “sacrifice” today has yielded a £48 weekly benefit tomorrow". The problem is it's not "tomorrow" it's from age 25 to 55 so 30 years later. If the coffee is £2.75 now but costs £9.62 in 30 years, you could still only buy the same number of coffees. Yes but with my option you can have those coffees every year from then on for as long as you like without having to work for The Man to pay for them should you so choose. I worked out that I can make pretty good coffee either at home or at work for about 16p per cup (http://www.underthemoneytree.com/retire-early-and-smell-the-coffee/). 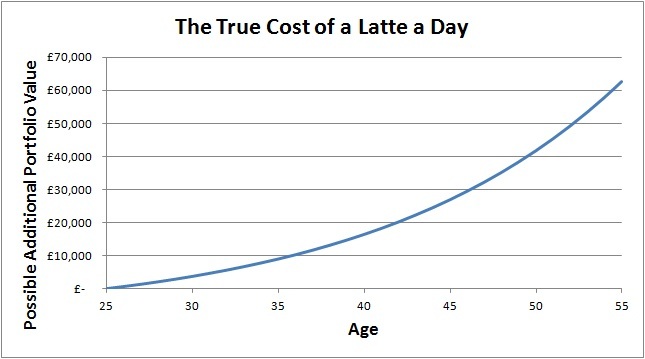 I used to spend a small fortune on coffee at work before I realised the long term financial impact.